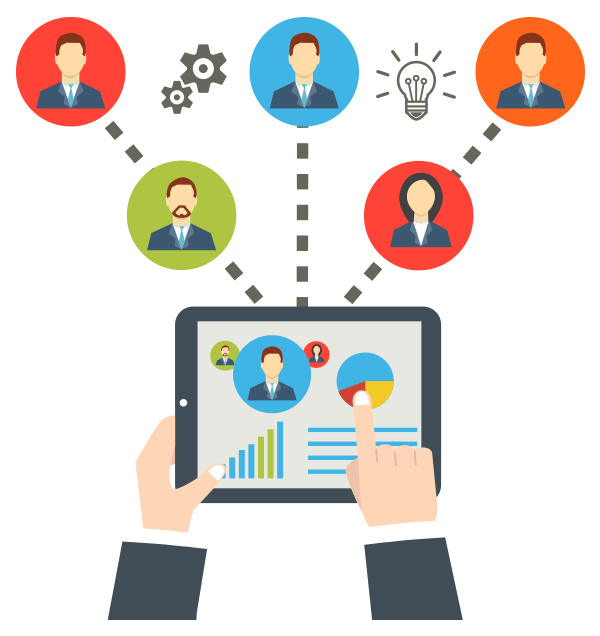 Today marketing automation is an extremely active segment of the CRM software market. Automation of routine processes is possible with the help of special software, which analyzes the actions of customers and makes personal offers based on the received data. The basic idea of marketing automation aims to exclude the routine work of employees and replace them with robots so that people can focus on highly-intellectual work. analytics of advertising campaigns (all tools that can calculate some metrics and give indicators). automation of leads registration, qualification, cultivation, and conversion. This system provides a range of automated processes for leads management. It offers flexible tools for working with mailing lists, events, calls, tasks, schedules, etc. The email section contains all the necessary tools for mass electronic mailings. The user can create a distribution template and define the list of recipients. There is also a special segmentation option for target audience selection. After sending the emails, Bpm’online Marketing will provide all the necessary analytical information, including delivery status with the processing of the hard bounce and soft bounce responses, the dynamics of opening and referring links, a click map, etc. Email marketing tools can optimize the communication strategy with a client by analyzing the response to the newsletter. So, managers can use this system to automate workflows, provide financial management, track prospect behavior and qualify leads before they are passed to sales. Find out more about this software at https://www.bpmonline.com/crm/marketing-automation-platform . HubSpo t is a service that covers all areas of Internet marketing, including blogs, social networks, SEO, content management and landing pages. The system also offers a wide range of automation functions for email marketing. Sales tools include CRM, lead management, and e-mail. In addition, HubSpot offers analytics, mobile applications and a wide range of integration with third-party services. Moreover, HubSpot can be used as a content management system: it allows a user to update the content of a website, optimize it for search and configure it for mobile devices. You can even personalize the site for a visitor. HubSpot CRM stores all contacts and details, including the history of interaction, via email and phone. The manager can track all offers, tasks and schedule meetings. 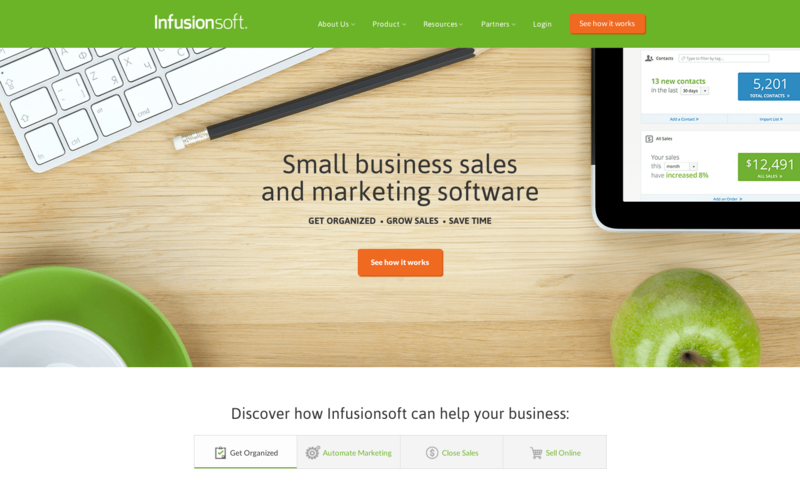 Infusionsoft is a sales and marketing automation service for small business owners. Most companies, which use Infusionsoft, have 1 to 25 employees, and as usual, they work in different industries. By collecting contacts in one place, Infusionsoft CRM improves sales efficiency, eliminates redundant work, automates marketing campaigns and uses e-commerce tools. Powerful marketing tools help to approach more accurately to the field of company’s activity. tracking orders, sales results, accounts receivable, etc. Marketo is an online marketing automation platform with common functions. Both fast-growing small businesses and global companies use Marketo successfully. It gives businesses the opportunity to launch an email newsletter based on more than 40 characteristics of behavior. The service can optimize marketing processes and increase sales efficiency. Marketo is necessary for marketing analytics. It helps to find and attract the right customers, find out what they want to know about products, learn the details of search marketing, landing pages, personalization, forms, social networks and track user behavior.